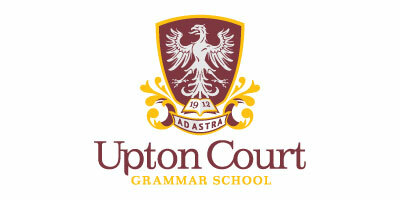 Upton Court Grammar in Slough is operating in a competitive environment of highly successful grammar schools. They wanted to establish a dedicated in-house marketing team, made up of staff members, to promote the school. Grebot Donnelly was commissioned to provide expert guidance and training to help the school achieve this. After discussions with the school to identify the strengths and weaknesses of its staff’s existing knowledge and skills around marketing, as well as analysis of its main competitors, we developed a bespoke series of interactive training workshops designed to help the school create and implement an effective marketing strategy. The school’s marketing team were shown how to analyse its existing public profile , including online presence (such as website and social media) and offline communications (such as internal and external poster campaigns and newsletters), to see where improvements could be made. Training also covered establishing and managing the school’s brand identity ; student recruitment and primary liaison ; promoting the sixth form and utilising the full range of available marketing techniques . The workshops left the school’s marketing team with supporting guidance documents and templates, enabling them to set measurable targets, as well as clear next steps to move the strategy forward. Upton Court Grammar’s independent in-house marketing team now have a solid understanding of how to promote the school’s key strengths; share good news; and raise its profile with key stakeholders, with the aim of increasing student roll and first choice applications, as well as creating positive experiences within the school.